Reforms in Bulgaria have no direction, they are not perceived as an inherent necessity and in order to be carried out at all external pressure is needed. Until this is the case, Bulgaria will remain under monitoring. As long as it takes. This is the answer of the European Commission to the question how long will it continue to monitor Bulgaria under the Cooperation and Verification Mechanism (CVM). The latest Commission`s report from 18 July was highly expected because it had to assess the past five years of Bulgaria`s ‘conditional’ EU membership. As euinside wrote, the expectations strained the nerves of both politicians and magistrates. The Supreme Judicial Council (SJC) dismissed the president of the Union of Judges, Miroslava Todorova, and on the eve of the publication of the report, a Member of Parliament from the ruling party GERB has been arrested for trading with influence. These desperate moves only confirmed the message of the EC`s report that the reforms are not being carried out on behalf and in the interest of Bulgarian citizens but rather to make good impression abroad. Well, apparently it`s not so easy. The report clearly directs its criticism to all governments and parliaments in the last five years, while noting their different degrees of commitment to reforms. And still, on the whole, the necessary legal framework is a fact. Why is it not applied? Why are there no results, Brussels seems to be asking and answering to itself: because there is no direction of reforms. Because there is no understanding that the purpose of reform is to ultimately have workable rule of law in a state where the judiciary is independent and effective, where integrity is valued and where corruption and organised crime is effectively punished. The current government, although it started with a "reform momentum" (the 2010 report), is finishing* with doubts about "the sustainability and irreversibility of change." There is virtually no measure proclaimed by the government with aplomb (the specialised court, the anti-corruption body BORKOR, the law on confiscation of property, the cases against politicians and high-level officials, the ostentatious police raids) spared of criticism in the report due to the lack of tangible results. 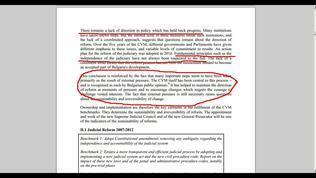 The government cannot even use its favourite excuse 'we catch them, they let them go' (meaning, the court) because the report cites, without naming, the case of the so called "Galevi Brothers": "Systemic failures in law enforcement were recently demonstrated after two prominent convicts escaped enforcement of their prison sentence. The Bulgarian authorities failed to apprehend some of the most senior criminals of the country after an announced verdict was handed down by court. This must be seen as a major failure of the system." However, there is a part of this sentence from the draft that is missing in the official report: "The precise circumstances have not been established, and there has been no political urgency to identify and remedy the causes of what must be seen as a major failure of the system." Remember the word political - it is important. "Fundamental principles such as the independence of the judiciary have not always been respected to the full" - this is undoubtedly the most severe criticism in the report. The current government has literally went to war against the judiciary, blaming it for all the criticism of Brussels. In July 2010 Prime Minister Boyko Borissov said with unconcealed irony: "And here I have a big request for the independent judiciary and the prosecution - that they read the report's recommendations very carefully and to comment them accordingly. And also to say what measures the independent judiciary will adopt in order this to be cleared out in the next July report." Well, as it is clear from the current report of the Commission, the question whether the judiciary in Bulgaria is independent is fully justified. "The overall impression is of a failure to respect the separation of the powers of the state which has direct consequences for public confidence in the judiciary." In this respect, the Bulgarian report is only slightly softer than the Romanian one, which we should interpret as a warning for what would befall if the current direction does not change. "Independence [of the judiciary] has also come in question following a series of direct political criticisms of individual judges - the dismissal from the judiciary of the President of the Union of Judges by the SJC raises concerns in this context". However, the SJC itself "has not taken clear action to protect judicial independence in these cases." As usual, the SJC is focusing the report`s attention but this time even more because a new council should be elected "with a mandate to undertake fundamental reform". "The appointment and work of the new Supreme Judicial Council and of the new General Prosecutor will be one of the indicators of the sustainability of reforms." Both the report and its technical annex draw attention to the election of the new SJC because 11 of its members are elected by Parliament in the absence of transparency and suspected political influence, and members of the SJC from the court quota are not elected directly but through delegates. And while in terms of parliamentary election of the SJC members new rules were adopted aimed at more transparency, the Bulgarian authorities literally refused to introduce direct elections of the SJC members from the judicial quota already this autumn when a new council should be elected. The first test for the new SJC will be the upcoming election of a Prosecutor General and a Chair of the Supreme Court of Cassation, the EC underlines. 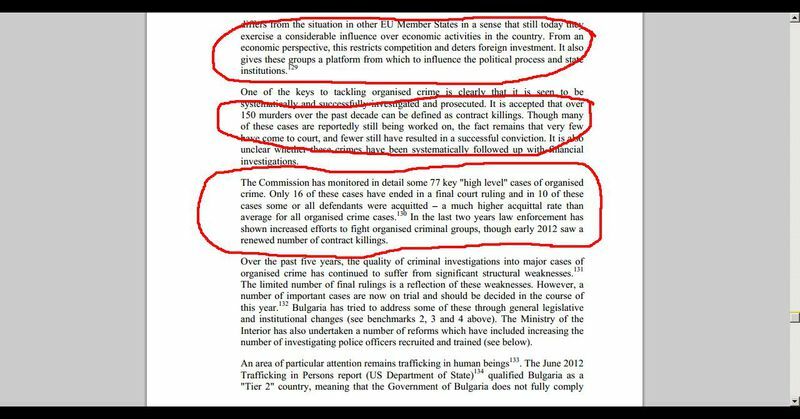 This part of the technical report is quite an interesting read that describes the scale of the organised crime in our country and its activities at European level (in 15 EU countries), and concludes that the role of organised crime groups in Bulgaria is "unique": "still today they exercise a considerable influence over economic activities in the country" which "gives these groups a platform from which to influence the political process and state institutions." The report says there were 150 contract killings in the last decade in Bulgaria, very few of which have come to court and even fewer have resulted in successful conviction. Out of 77 key "high level" cases of organised crime, monitored by the EC, only 16 ended in a final court ruling and in 10 of these cases some or all defendants were acquitted. While in the last two years there have been increased efforts to fight organised criminal groups, from the beginning of 2012 a renewed number of contract killings is seen. "The criminal activity of a total of 660 organised crime groups has been partially or completely disrupted." "The manifestations of serious and organised crime in all spheres of public life have been limited." "The activity of criminal figures using coverts of structures involved in politics, state institutions and companies has been neutralised." "The social and business environment in the country are radically changed." However, the report says: "The Commission regularly receives complaints from Bulgarian citizens and foreign investors about judicial inaction and alleged collusion with organised crime on local level." And the political assessment is that despite "significant increase" in the resources for police investigations, convincing results are still missing in terms of fight against organised crime. As for corruption, the results are no better. Once again, the report notes the lack of independent institutions to fight corruption. "There are very few high-level cases that reach court and many of those cases progress only very slowly in trial, with a disproportionately high number of acquittals. Investigations into alleged corruption and abuse of office by magistrates have received a particularly weak response from the judiciary." The same applies to the emblematic cases of fraud with European funds, as the EC has never found a satisfactory explanation why the existing procedural opportunities to accelerate these cases are not used. The more serious problem is that the fight against corruption is neglected in the context of the above-mentioned influence of organised crime on the political process in the country: "High-level corruption cases typically involve influential public personalities; they are therefore a test for the capacity and independence of the Bulgarian judicial system. As corruption and organised crime are often linked, detailed financial investigations are an important part of any investigation in this area and of particular importance to uncover links between organised crime and politics. 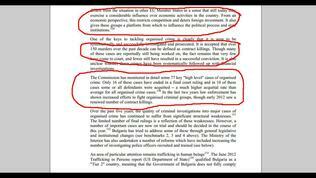 These aspects have not received appropriate attention in Bulgaria." Having said all this, it was not surprising when a foreign journalist asked whether the Commission still believed that the accession of Bulgaria and Romania to the EU in 2007 was the right decision. Categorically yes, EC spokesman Mark Gray said. He explained that both countries had achieved a lot from then on, and the Cooperation and Verification Mechanism had contributed to progress. 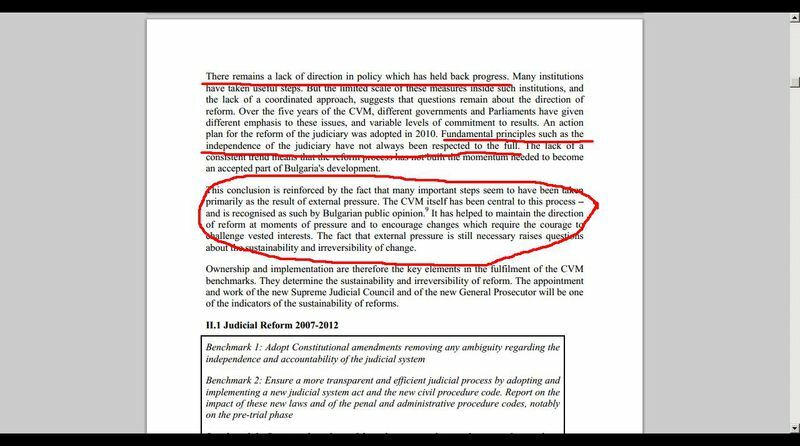 So, it will continue to exist "to keep up the momentum of change towards a sustainable and irreversible reform process – a process sufficiently strong that the external intervention of the CVM is no longer needed". To that end, however, the leadership of the judiciary need to take ownership of reform and the authorities have to set a clear common direction where the efforts of individual institutions to be united more effectively than in the past. "All Member States have both obligations and opportunities within the area of freedom, security and justice," the EC recalls. Bulgaria is not expected to achieve higher standards than those in other member states, the target of the mechanism is "to help Bulgaria achieve standards comparable to other Member States", which is a target supported by nearly 80% of Bulgarians. The EC conducted a Flash Eurobarometer poll especially on the CVM, clearly showing that the targets of the mechanism are widely shared by the citizens of Bulgaria and Romania. Against this background, there are only two puzzling facts: why will the Commission make its next assessment on Bulgaria at the end of 2013, and not in February or at least in July, as usual? 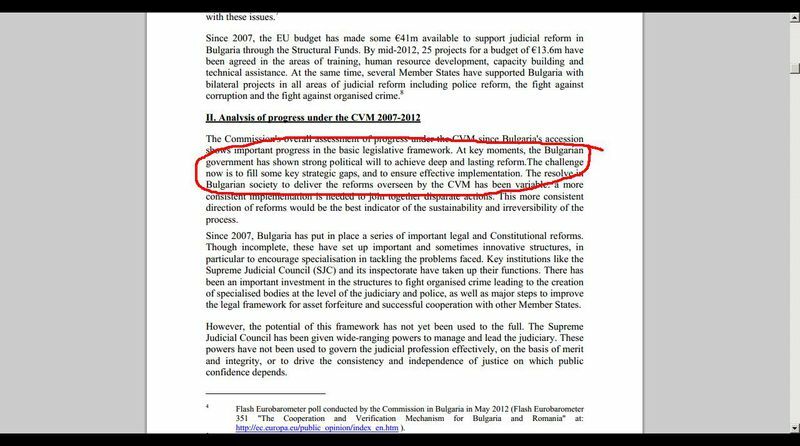 And why in the official version of the report the following sentence has been added: "In key moments Bulgarian government has shown strong political will to achieve deep and lasting reform". The official answer to the first question is that Bulgaria is given more time to show convincing results. There is no official explanation for the added sentence. It is true that from this wording it cannot be judged that it is about the current government. But it is also true that the government immediately took advantage of this sentence to make it a major focus of its comments on the report. It also boasted of dropping the interim reports as a sign of its good work. We can only suggest, moreover reasonably, that the real answer to both questions is one and the same: both the postponement of the report for after the elections in mid-2013 and the suddenly appeared "political will" are politically motivated. After all, the ruling party GERB is a member of the European People's Party, which is currently the most influential European political family. Though the EC is presumably an independent institution, obviously it is no stranger to political compromises. In his typical style, Prime Minister Boyko Borissov praised the report, said that "its recommendations coincide with the things that we are currently doing" and concluded: "In a word - the report meets absolutely the objective reality in Bulgaria in the last five years". Now remember the picture described above. However, the sentence mentioning the political will looks as a patch in the report and is extremely unconvincing against the dozens of specific evidence clearly demonstrating the absence of such a will. 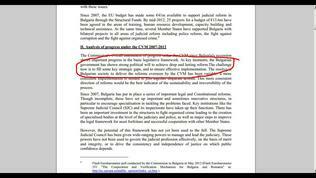 Reading the report 'as it suits us' will not change the fact that the political power in Bulgaria does not work for the citizens, because it obviously pursues objectives different than those of the citizens. But governments will change, and the mechanism will continue because Bulgaria still needs it in order to change itself, albeit slowly. How long? As long as it takes.